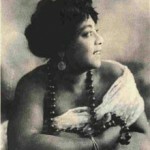 September 16, 1946 Mamie Smith, vaudeville singer, dancer, pianist and actress, died. Smith was born May 26, 1883 in Cincinnati, Ohio. 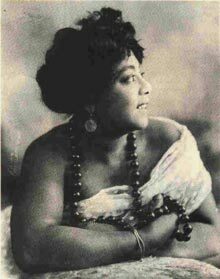 As a teenager, she danced in Salem Tutt Whitney’s Smart Set and in 1920 she recorded a set of songs, including “Crazy Blues” and “It’s Right Here For You (If You Don’t Get It, T’ain’t No Fault of Mine). These were the first recordings of vocal blues by an African American singer and sold over a million copies in one year. Because of its historical significance, “Crazy Blues” was inducted into the Grammy Hall of Fame in 1994 and selected to be part of the National Recording Registry at the Library of Congress in 2005. Smith continued to record throughout the 1920s and toured the United States and Europe. She appeared in a number of motion pictures, including “Jail House Blues” (1929), “Paradise in Harlem” (1939), and “Murder on Lennox Avenue” (1941).